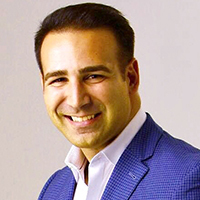 Tony Mazzulli is the Executive Director at Keller Williams Commercial. He has recruited and trained teams of brokers in NYC and Westchester County. Tony has been a featured expert on National TV, Radio and other media outlets such as Forbes, FOX, and PIX 11. Tony has over 15 years of Experience in Real Estate Development, Finance, Capital Markets and Brokerage. Tony has a passion for educating others in commercial real estate and decided to create the TV Pilot, "The Big Deal," which is a Commercial Real Estate TV concept that is Entertaining, Educational and Inspiring, Giving the viewer an in depth understanding of the principles and dramatic world of Commercial Real Estate.